To most visitors and native New Yorkers, the city's past is told primarily through its modern icons like the Empire State Building or through its famous museums that focus more on world history than telling the tales of New York's past. If you are able to go beyond these well known tourist attractions, there is a wealth of historical landmarks that truly document the history of one of the oldest cities in America. Here are the top 7 of these locations that are often overshadowed by more famous counterparts but due the history of New York justice. 1. US Custom House (1 Bowling Green): Often overlooked by those enticed by the view of the Statue of Liberty, the Alexander Hamilton US Custom House was built in 1907 on the same spot as the first settlement on the island of Manhattan. Designed by architect Cass Gilbert, the main draw of this building is the amazing Beaux Arts architecture both inside and out. Visitors are greeted by mammoth sculptures lining the outer façade depicting international commerce. Inside there is a vast circular room with wood panels designed by Tiffany's Studios and large murals by famed New York artist Reginald Marsh depicting New York marine culture. Additionally, the building currently holds the National Museum of the American Indian, run by the Smithsonian, which is free to visit. 2. Cathedral of Saint John the Divine (1047 Amsterdam Ave.): Saint John the Divine is the only religious location on this list and is often forgotten about in a city known for its churches. While many know of St. Patrick's Cathedral and Trinity Church, Saint John's boasts a very long and unique history that is unlike any building in New York. It is the fourth largest Christian church in the world and is most famous for the fact that while the building of the church began in 1892, it still remains unfinished to this day. Nicknamed St. John the Unfinished, this church is a timeline of construction techniques and styles as each change and addition has reflected the time period of which it was made. A gothic revival church that also serves as a massive art studio for some of the most unique art exhibitions you will find anywhere. These art exhibits take advantage of the almost 601 foot long cathedral which provides a perfect backdrop for some amazing art. 3. New York Historical Society (170 Central Park West): Located across the street from the well known National History Museum, the New York Historical Society might be the best place to learn about specific time periods in New York City's past. While the main exhibits of the New York Historical Society change often, they frequently feature events that directly influenced New York. The museums 4th floor is packed with historical artifacts dating from the pre-revolutionary war period and as current as artifacts from 9/11. This museum was actually New York's first, having been founded way back in 1804 and is the primary resource for anyone wishing to know the history of this great city. 4. 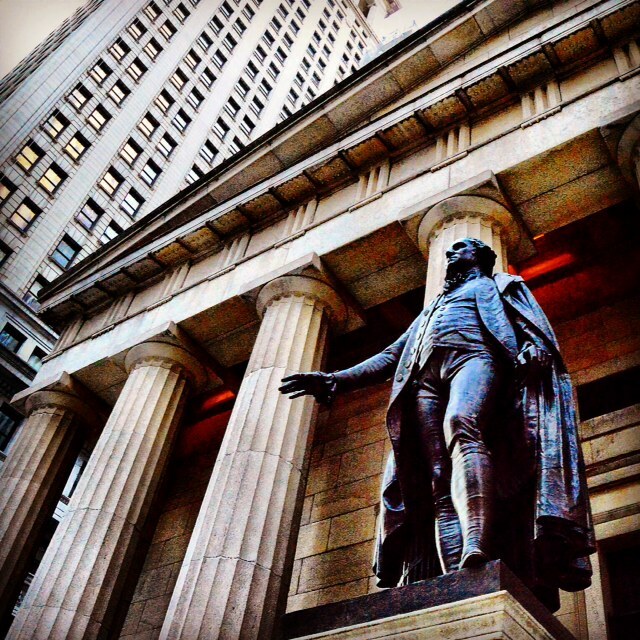 Federal Hall Memorial (26 Wall Street): Slightly overshadowed by its more famous neighbor, Wall Street, this memorial stands as one of the most important sites in New York City's history. While the original Federal Hall was torn down in 1812, the current structure served as America's first capital building, was the site of George Washington's inauguration, and where the Bill of Rights was first presented to congress. Free to visit by the public, the building is best known for it's more than life size statue of George Washington who is displayed prominently out front. 5. The Morris Jumel Mansion (65 Jumel Terrace, Brooklyn): Built by Rodger Morris, a British military officer, in 1765 this house is one of the hidden crown jewels of New York history. Over the course of its almost 250 history, it has drawn many famous residents like Aaron Burr (most famous for his duel with Alexander Hamilton) and was also George Washington's temporary headquarters after his defeat at the battle of Brooklyn. In 1904 the house was purchased by New York City and in its current state it serves as an historic house museum. Here you can find recreations of what a New York home would have been like during the 1700's and see one of New York City's oldest homes. The houses use go beyond just as a museum as many films, TV shows, and commercials use it as a setting due to its unique style and authenticity. 6. City Hall Subway (Located under City Hall): The urban legend about a secret subway station that sits around City Hall and is no longer being used is definitely true. Historic photographs depict a unique and beautiful subway stop that is decked out in Guastavino tile. By taking the 6 Train at the Brooklyn Bridge stop from southbound to northbound you will travel through this station. The lack of lighting and the glare can prevent a great view but it still is a powerful site. If you are looking for a more extensive tour of the subway stop, this can be found through the Transportation Museum but is currently only for museum members only. 7. The Hamilton Grange (414 W 141st Street): While considered a national historic landmark, it is the relocated home of founding father Alexander Hamilton. Having moved twice within New York City since its original construction in 1802, the home was completed only two years before Hamilton died during his famous duel with Aaron Burr. The home was recently restored to its original splendor and reopened to the public in 2011. 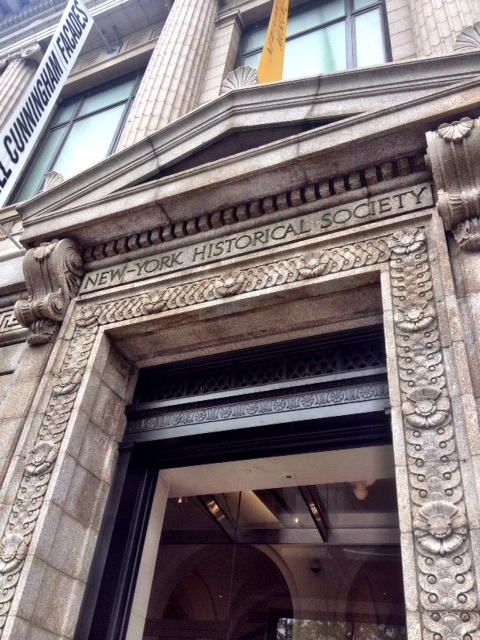 So what are some of your favorite places in New York City to experience its true history? Let everyone know in the comment section!